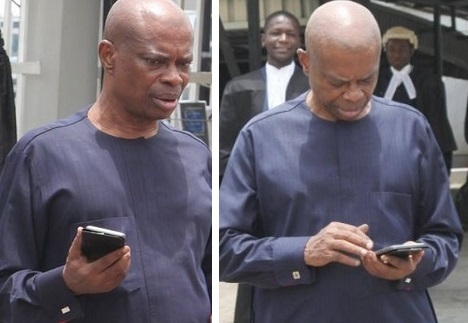 The Federal High Court in Lagos on Tuesday ordered a former Permanent Secretary in the Federal Ministry of Labour and Employment, Clement Onubuogo, to forfeit to the Federal Government the sums of N664,475,246.6 and $137,680.11 found in his bank accounts. Justice Saliu Saidu gave the forfeiture order in response to an application by the Economic and Financial Crimes Commission. Onubuogo did not oppose application. The EFCC told the court that the permanent secretary diverted the funds from Sure-P, a youth empowerment programme initiated by former President Goodluck Jonathan. At the Tuesday’s proceedings, Onubuogo’s lawyer, Mr. T.S. Awana, told Justice Saidu that his client had opted for an out-of-court settlement with the EFCC. He said he was, in response to the out-of-court settlement move, withdrawing two applications he earlier filed in opposition to the move by the EFCC to have his properties forfeited. Consequently, Justice Saidu struck out the two applications. One of the applications challenged the court’s jurisdiction to hear the case while the other prayed the court to discharge an interim forfeiture order made in respect of Onubuogo’s landed properties and funds. The court had in August last year ordered the permanent secretary to temporarily forfeit to the Federal Government the sums of N664,475,246.6 and $137,680.11 found in his bank accounts. The court also ordered him to forfeit temporarily two landed properties.